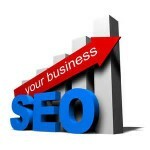 SEO is the backbone of website marketing. The way that the marketers handle SEO has implications for the success of their online marketing efforts. However, being a broad discipline, it is hard for the individual marketer to handle all the aspects of SEO. The plugins come in handy for the automation of several SEO processes. One of the most common SEO plugins is SEO Wizard, which is specifically designed to the WordPress websites. SEO Wizard is a tool that has been designed by the industry experts to help WordPress sites keep all the pages and posts made consistent with SEO norms and at par sites that are handled by online marketing gurus. As stated earlier, since SEO involves many elements, the tool provides a visual reference to ensure that all the required elements are included in every post that is published. What does SEO Wizard help you do? Your site uses specific keywords that are relevant to the search phrases that online visitors use to search for products that you offer. SEO Wizard helps in ensuring that you implement your keywords excellently. It tracks the keywords for you to ensure that they are used in the appropriate number of times. It also checks at the page title, headings, and alt tags to ensure that your keyword is used appropriately. It also has other keyword features that include automatic italic, bold, and adding keywords to titles. It helps you avoid search engine penalties for keyword stuffing or lack of visibility due to the inadequate number of keywords in your posts. SEO Wizard has a tool that enables you to preview your post before it goes live. The preview shows how the page will look to your visitors when it goes live. You can tell whether the title is too long or too short for the post. You can also use the feature to check the context of the Meta description and make necessary corrections. A better title and correct Meta description help in increasing your page ranking and click-through rates. In addition, the plugin also checks if your posts are of the sufficient length and if there are opportunities for optimizing the content even further. Additional images can be optimized for search results, links can be created to other sites, and author information can also be added. Quality content rules the web space and the ability to write high-quality content and then install all the required search optimization elements enables your site to get more traffic. The WordPress plugin controls the pages that are shown by the search engines in the search results. It ensures that the pages that are specifically meant to pull in the visitors are the ones that are displayed. The tool also guides the search engine crawlers on how to index your page without your direct input. It cuts the time-consuming task of having to present your site for indexing by the search engines manually. The tool also enables easier location of Canonical elements of the links as well as adding “rel=” next”andrel=”prev” elements of your links automatically. Social media marketing is a brilliant way to build a fan base as well as tap into the large traffic that is experienced in these sites. The plugin allows you to add Facebook and Twitter profiles to the site pages and posts that get published. In the next update, the tool will also include the Facebook OpenGraph as well as Google+ tags. The access to the tree major social media sites gives the business more exposure and eliminates the need for manually posting information of every new post that you make to the social media sites. On-page SEO involves a set of automatic activities to optimize a post. In addition to including automatically targeted keywords in your Meta descriptions, the tool will also create targeted phrases to make it easy for the indexing of the pages as well as improve the crawling speed by search engine robot crawlers. The SEO Wizard contains page analyzes feature. This feature awards page analysis scores to give you an idea of how to improve the page for better visibility and higher traffic. The feature lists all the components of its analysis giving individual scores to every component to enable you to know what needs improvement. Some of the components used in the analysis include effective usage of the keywords, the keyword density, how may headers contain the keyword, and keyword bolding among others. Improving on the suggested areas helps in optimizing the page, which in return leads to higher ranking and high organic traffic. 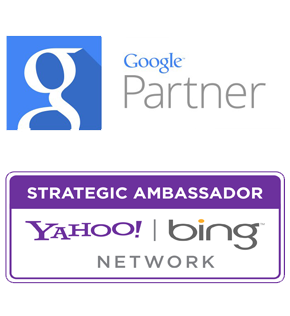 It is important to know how your site ranks when compared to competitor websites. It is good to know the amount of traffic that the competition is receiving as well as the number of the backlinks to their site. The tool analyzes the close competitor sites and provides a detailed report of their SEO efforts as well as the traffic that they receive. Using the report, you are able to determine what the competition is doing that you are not doing and SEO activities that need improvement. The tool helps you monitor the health of your sites by monitoring incidences when your site or a page is unavailable. It creates logs of 404 errors and gives you options to what 404 errors that need monitoring. You can monitor 404 errors generated by crawlers and 404 errors that come from the referring sites. Moreover, you can add URLS, which are to be ignored whenever there is 404 error. The WordPress plugin comes with an easy to use user interface and does not require SEO expertise to use it. Whenever it gives suggestions, it also shows you what to do in easy to follow steps. It also has a help function for assistance in running most of its features. The SEO Wizard plugin is provided free by its developers under the GPL version 2 license. The plugin can be downloaded through a plugin search on the WordPress page and directly on the developer’s page. It is small in size and thus takes a short time to download. You can configure the plugin setting as per your preferences and include the options discussed above. The plugin is always available when writing or editing posts on your WordPress site and is activated by clicking its icon. The plugin is worth considering for every WordPress site.